Most students really hate math, because it’s boring, difficult, or just not their thing. But what if there was a teacher who knows the right approach to you? Well, there is a teacher who knows the rights approach at least to those students who find math an extremely boring subject. 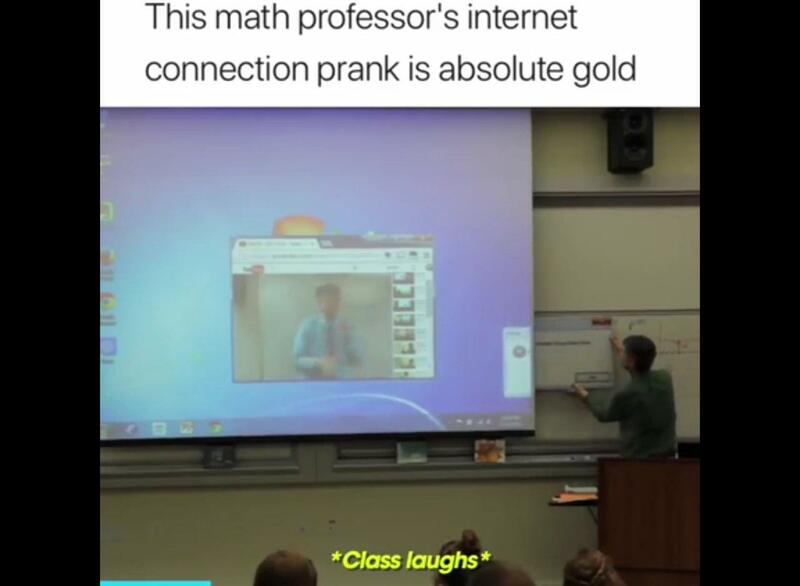 The Typical Student team shares a hilarious prank a math professor played on his students. Matthew Weathers is a math teacher who absolutely does his best in order to teach his students and does it in a quite fun way. Every other Easter, April fools, or Halloween Mr. Weathers pranks his students. Matthew Weathers is not only a cool math teacher, but a really successful YouTube blogger as well. Just think about it, he has over 148K subscribers on his YouTube channel. One of Matthew Weather’s videos became really popular on YouTube and, just imagine, got over 15 million views! Having problems with projector screen is Mr. Weather’s favorite and the most ridiculous prank. He pretends like he doesn’t know how to deal with the projector screen that goes completely crazy. In his Easter prank for students Mr. Weather’s has some problems with the other guy on the screen who doesn’t let him explain new material to the students. Even though this short description of this prank might sound a little bit boring, this video is really hilarious! At the end of the video Mr. Weathers cancels the quiz and dismisses the class. What a lovely Easter present, isn’t it?